Bukit Bintang, Kuala Lumpur is a shopping haven for girls; do you know it is indeed also a food haven for everybody? 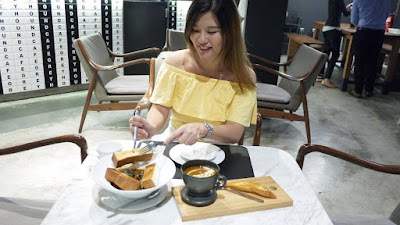 Grown up locally in KL, we love this city a lot and today we would like to recommend the must have food when you are in KL. 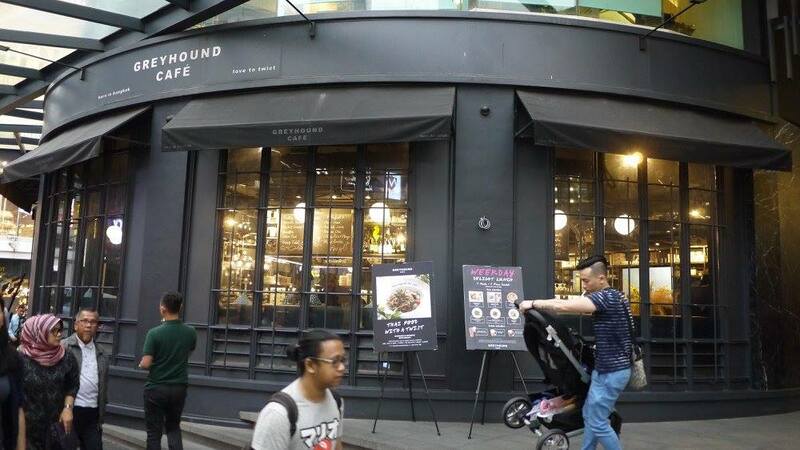 Originated from Bangkok, Thailand; Greyhound Café @ Bukit Bintang, Kuala Lumpur that serves fusion Thai food, which would surely tantalizing your taste buds. 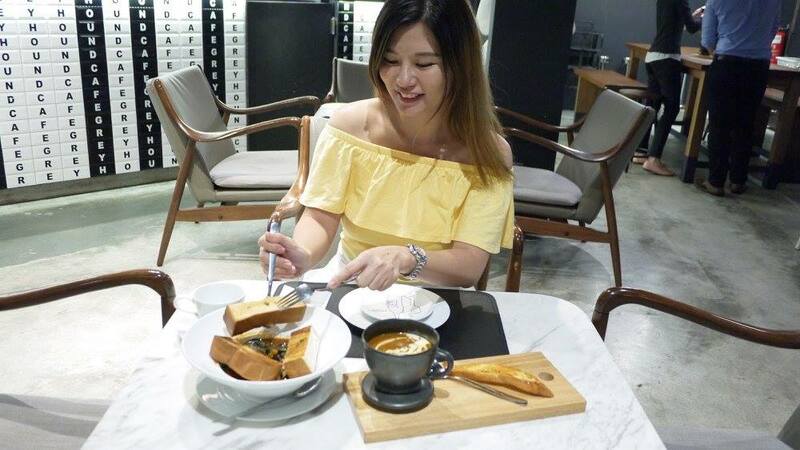 Located at the heart of KL at the ground floor of ANSA, Greyhound Café has a contemporary and chic interior with perfect lighting. It is a good place to selfie and people watch. We have dined in their private room at the back of the restaurant. We like the room that has a roof filled with lots of green plants and other flowers. 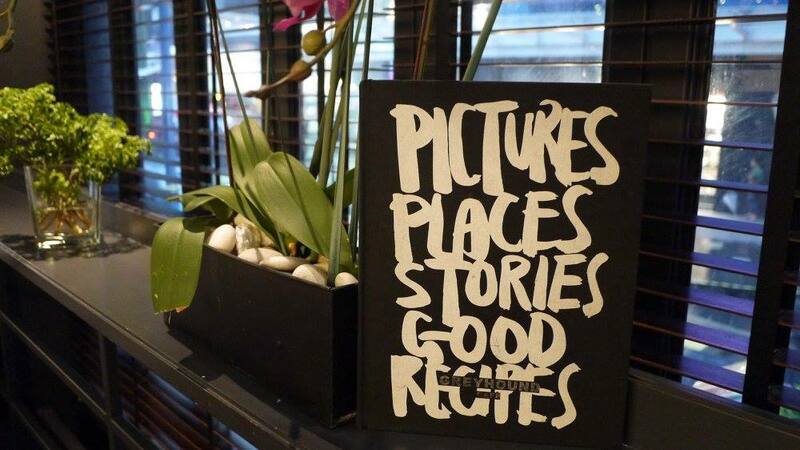 The menu is beautifully crafted just like an art book; offer plenty of choices from starter, main to drinks and desserts. 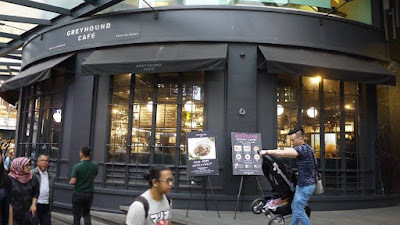 We have tried some of the signature dishes at Greyhound Café @ Bukit Bintang, Kuala Lumpur. Started off with Green Mellow (RM16) and Fresh Coconut Shake (RM 16), both juices are equally refreshing and juicy. Cooked with fresh clams and mussels with lots of tomatoes and basil leaves. Encourage to wipe the last few drops with accompanied toasted bread. 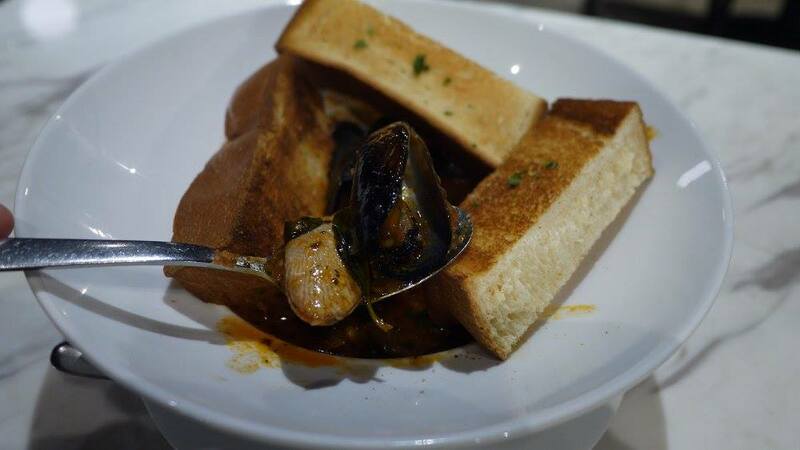 Greyhound’s Italian Style Clam and Mussel Soup is nice to see, and even better to taste. We like the authentic Italian flavour in this soup, bravo. Silky, milky and hot in a bowl, we like! 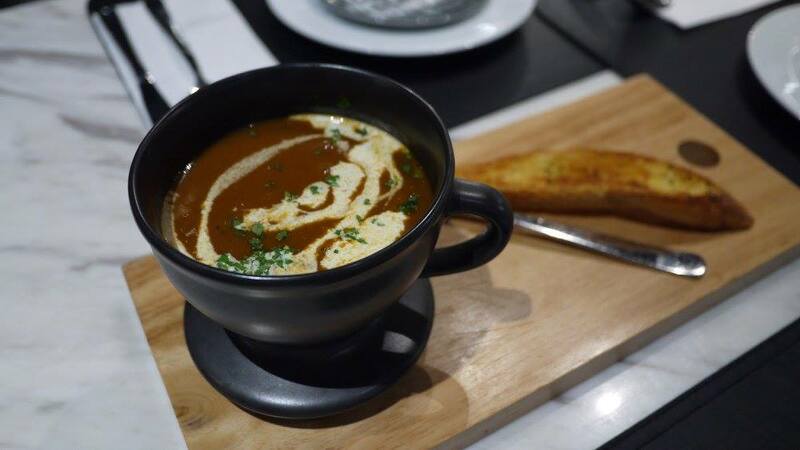 Served in a wooden tray, Prawn Bisque with Fresh Cream is beautiful and tasty. Stir-fried spaghetti with beef or chicken or seafood, chilies, fresh peppercorns and basil leaves. 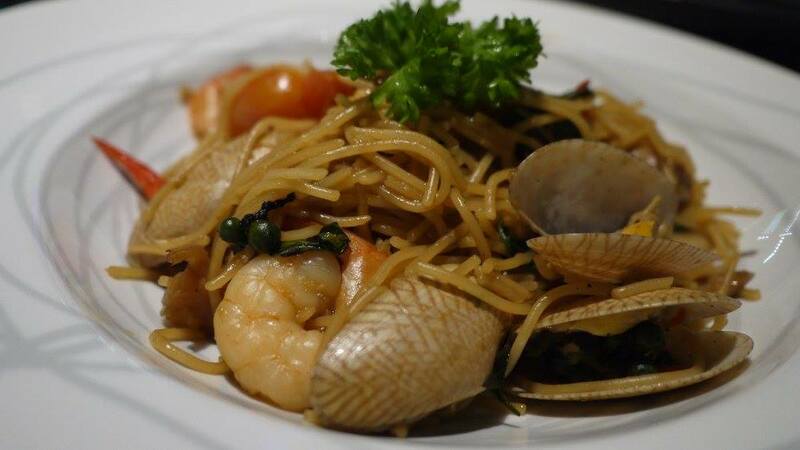 This is not your usual spaghetti, the chef has cooked the spaghetti with Thai ingredients which presents a spicy and tasty flavour. If you like a good fried rice and you love dried salty fish, then fried rice was made for you! Grilled tenderloin steak cooked to your liking, topped with Thai green curry. Our most favourite dish of the night. 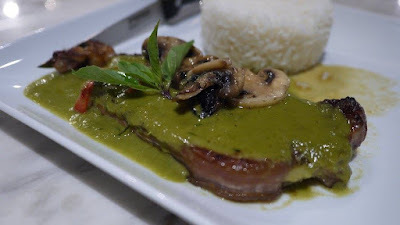 The Tenderloin Steak are marinated and cooked to your liking, the special Green Curry Sauce that goes along with it just makes everything heavenly. 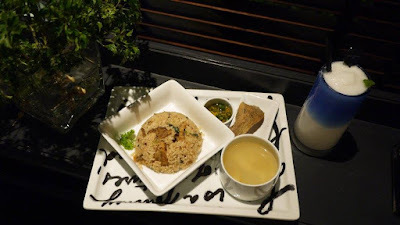 It is a sweet and savoury mix of sauces with certain herbs and spices, absolutely delicious. Last but not least, we have also tried the must have desserts. Served with whipped cream and crushed almond. 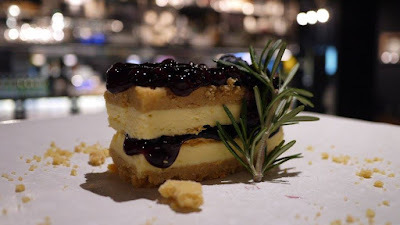 A crunchy version of blueberry cheesecake, best pair with a cup of coffee we reckon. Roll of crepe sheets, shredded young coconut and whipped cream. Topped with tuile. 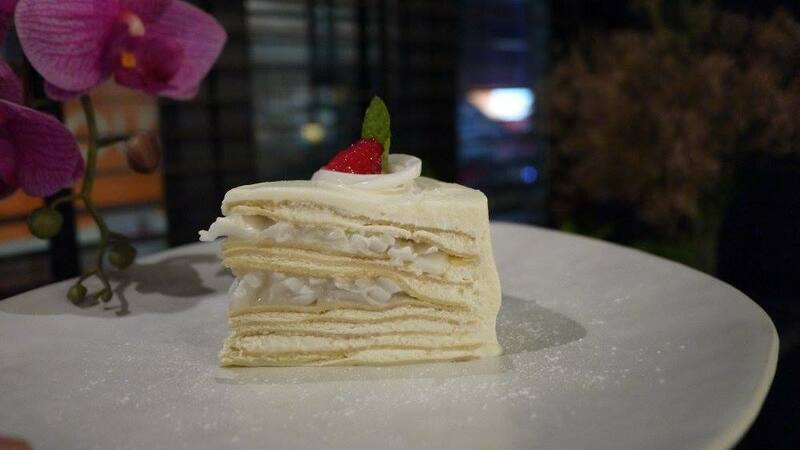 We love the crepe cake layering with lots of sweet and soft young coconut. 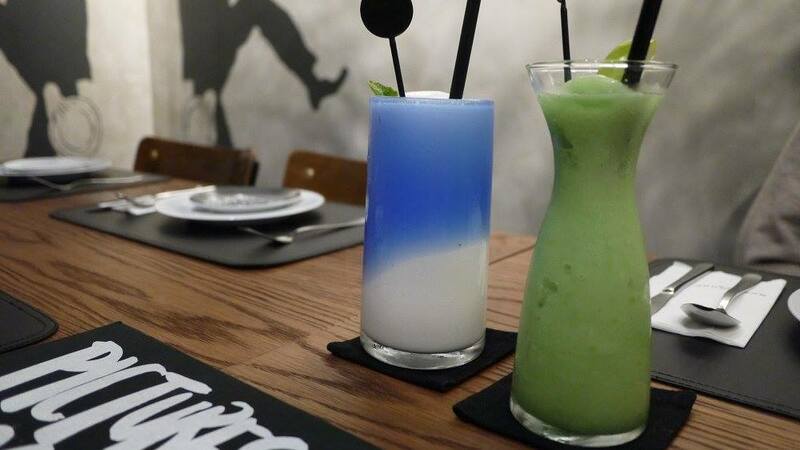 The taste is very balanced with the not so sweet crepe and crème, offers a refreshing burst of coconut taste. 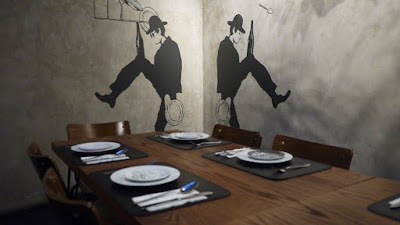 Overall, we like our decent meal and splendid time at Greyhound Café @ Bukit Bintang, Kuala Lumpur. Add. : Lot No. 02, Ground Floor, ANSA Kuala Lumpur, 101 Jalan Bukit Bintang, 55100 Kuala Lumpur, Malaysia.